On a cold winter day, a premature hippopotamus is born at the Cincinnati Zoo. The baby is way too small to live. Her keepers refuse to let her die. They work day and night to keep her alive. Thanks to the expertise, devotion, persistence, and creativity of zoo staff, adorable Fiona does survive. She lights up the Internet with her personality and will to live. 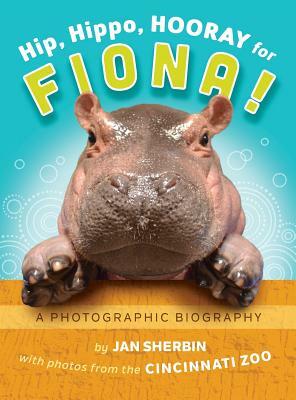 She becomes the best-known and best-loved hippo in the world. A touching, inspirational nonfiction story loved by the whole family. Children 4+--and grown-ups, too A keepsake album illustrated with 65 Cincinnati Zoo photographs. A portion of proceeds from sale of this book goes to the Cincinnati Zoo to help it continue its outstanding work.